Why Should You Book Thailand Tour Packages? Thailand – the Land of Smiles has been boasting of spotless beaches, glittering waters, vibrant nightlife, tropical forests, remarkable cuisines and fascinating culture. Shopping malls, ancient temples, monuments, wildlife sanctuaries and vibrant pubs as well as nightclubs and lounges will keep you busy in enjoying your holidays for the time to come. The beautiful country in Asia has some wonderful cities like Bangkok (capital city), Pattaya, Phuket, Krabi, Koh Samui and different others. Pattaya and Bangkok are the pride of nightlife in Thailand. 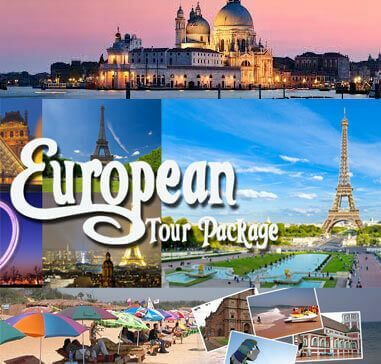 We at Smart Holiday Shop keep your budget and requirement in mind and offer you Thailand tour packages in your budget. You have to disclose your preferences and choices and leave rest of the work on us. We will create attractive day to day itineraries for you to let you enjoy the best time of your holidays. We offer what we tell and describe in our itineraries. We have regular contacts with Thailand tour operators and guides who are verified and certified. We have good contacts with luxury hotels, travel agencies, guides, store owners and restaurants to ensure that you will feel a home like environment there. We also offer you 24X7 customer services so that you can feel comfortable all the time.